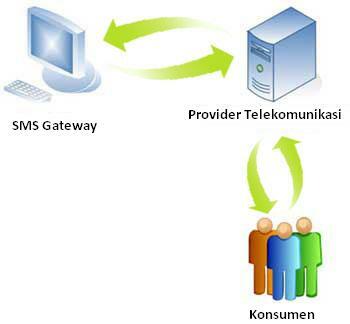 SMS Gateway is a suite of SMS applications built on web-based technology that allows businesses to send and receive SMS messages from and to all cellular operators in Indonesia (Telkomsel, Satelindo, Excelcom, IM3, Telkom Flexy, ESIA, Mobile 8 (FREN) , Start One, Telkom SMS, etc) via the Intranet even the Internet. SMS Gateway to send SMS in addition to helping the company`s identity as No Ordinary 0811xxxxxx or 0818xxxxxxxx, can also send an SMS with the identity of your company name, for example: HSBC BANK, BANK BCA or Hypermart. Length of sales reports from branches / outlets / stores. Cost is high enough to get a report from branches / outlets / stores. Difficulty communicating with branches / outlets / stores. Difficulty in obtaining real time information from the sales. With the IOD feature will make it easier for both internal and external parties / consumer companies to obtain the necessary information by using SMS technology. Alert a person or groups on meetings, events, personals, email, and appointments.